#90 , Le - CHATEAU, Infantry Road, Bangalore - 560001, Karnataka, India. We treat every Project as our First Project, and want to solve new risks through innovation, in a creative and impressive manner. We are habituated not to be satisfied in the work done by us yesterday. But want to make a better one today. Well, we are not creating the roof & walls. We are creating habitable and meaningful space transformed by human aspirations, to be lived in. We are habituated to design / make a thing by considering its next larger content, such as, a chair in a room, a room in a house, a house in a boundary, a boundary in an environment. Our Design and Construction Teams, which are motivated towards creation of new things, think in unconventional ways to tackle conventional issues. For us, our profession is our hobby. When you add water to cement, you build a building, when you add knowledge you build a home. That's why at TCH we lay our bricks with ideas not just mortar, we color our walls with foresight not just paint, and design our blue- prints with nature, open spaces and insight. 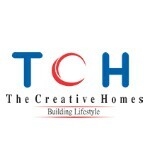 TCH has led the new wave of thinking about India's premium builders. Introducing India through its varied projects to new age construction technologies, materials, designs and green approaches that far exceed the standard benchmarks.